Bankruptcy Information | Can I Go to Jail For Not Paying My Bills? 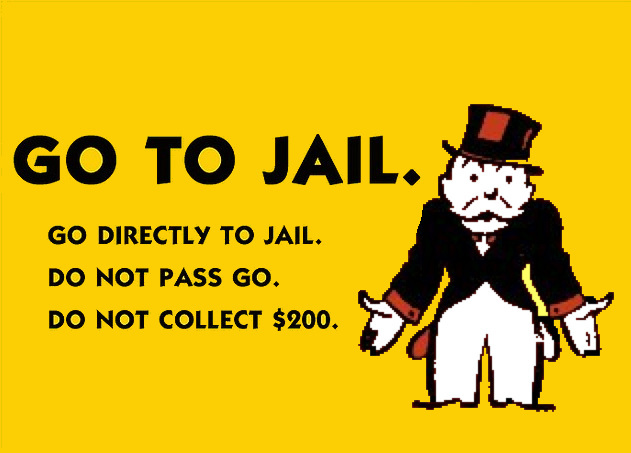 Home > Bankruptcy Basics > Can I Go to Jail For Not Paying My Bills? 27 Sep Can I Go to Jail For Not Paying My Bills? Scared? Well, it just not so simple as that, so don’t believe the collectors when they call and say they will have you arrested and put in jail for not paying a debt. While it is possible, there are a lot of safeguards for consumers in financial trouble, including bankruptcy. Let’s start with the basics. Debtor’s Prison is jail time for failing to pay a bill. There is a famous line in the Charles Dickens’ story,A Christmas Carol, as he is asked for a donation to the poor and he retorts. “Are there no prisons? Are there no workhouses?” If you did not pay your bills, you could be sentenced to prison or to a factory to work off your debt. Even Dickens’ family ended up there for a while. The United States and most individual statesoutlawed the practice in the early 1800’s. So, if its illegal, how can I go to jail for not paying my bills? Easy, ignore a court order. When a creditor sues you, the court will order that you pay the bill most times in weekly installments. The Judges recognize that you probably don’t have the money to pay it all at once. But beware, most judgments do carry interest at various rates set by rule or statute. If you don’t pay the installments, the Court won’t order you to jail, but it will give the creditor some power to pursue your assets. This can come in various forms such as a lien on your home, a pay garnishment, an attachment of your bank account or some other seizure of your property. If you have nothing to seize, no worries; still no jail time. The final step in frustration for the creditor who has a judgment is to subpoena you to an examination to see what they can recover from you. This is where you get into trouble. Ignore that subpoena and no you are in contempt of court. You are ignoring a judge’s order to appear and that IS punishable by jail time and sometimes a hefty bail bond. Now if you file for bankruptcy first, the Federal Bankruptcy system preempts the state court system and you’ve avoided going to jail. You can think of bankruptcy as a ‘Get Out of Jail free’ card.